As the May 1 effective date for the FAA’s BasicMed regulations (14 CFR Part 68) approaches, it is a good time to review the eligibility requirements for BasicMed that require certain documentation to demonstrate compliance. Pilots must carry some of these documents while operating under the new rules, while others are required to be kept with the pilot’s logbook or in an electronic format. To operate under BasicMed, a pilot must meet the requirements of 14 CFR 61.23(c)(3) (as amended in the final rule), one of which is that the pilot possess a valid U.S. driver’s license and complies with all medical requirements or restrictions associated with that license. In the final rule, the FAA interpreted “valid driver’s license” to mean “a current and valid U.S. driver’s license” that is issued by a state, territory, or possession of the United States. Pilots are required to have the driver’s license in their personal possession when operating under BasicMed. Another eligibility requirement set forth in amended 14 CFR 61.23 requires the pilot to have held a regular or special issuance medical any time on or after July 15, 2006. Pilots who meet this requirement by way of a medical certificate1 that is now lapsed or expired will not be required to carry or possess the expired medical certificate while operating under BasicMed. Furthermore, the new rules do not require the expired medical certificate to be retained with the pilot’s logbook. Nevertheless, it may be helpful to retain the expired medical for your own records. The first of two documents that must be stored electronically or with the logbook of pilots qualified to fly under BasicMed is the Comprehensive Medical Examination Checklist, which is completed by the airman and the state-licensed physician who conducts the examination. Part 68 requires that prior to operating under BasicMed, and then at least every 48 months, the pilot receive a medical examination from a state-licensed physician in accordance with a checklist that will be made available by the FAA. Under the federal law implemented by these new rules, the checklist is required to contain many of the same questions as the current application for an airman medical certificate. However, once the checklist is completed it is not required to be sent to the FAA or be carried with the pilot. Rather, it must be retained with the pilot’s logbook or in any electronic format, as long as it can be made available upon FAA request. The same requirements also apply to the second document, known as a “certificate of completion” for the online medical education course that pilots must complete prior to operating under BasicMed, and then at least every 24 calendar months. The online medical education course educates pilots on issues such as medical self-assessments, medication, and fitness to fly. Once the course is completed, the pilot will provide limited information that will be sent to the FAA such as the name, address, and phone number of the airman and the physician who conducted the medical examination, state medical license number, and date of exam. Airmen also will provide certifications as to their fitness to fly, and an authorization for a National Driver Register check. Once the medical education course is completed, the pilot will be provided with a certificate of completion in a PDF, which must then be printed and kept with the pilot’s logbook or stored in an electronic format, and made available upon FAA request. AOPA is currently working with the FAA to obtain approval for its online medical education course. BasicMed regulations do not change the existing requirements of 14 CFR 61.3, which mandate that airmen have their pilot certificate and appropriate photo identification in their physical possession or readily accessible in the aircraft when exercising the privileges of their certificate. The FAA has noted that an official passport, which some pilots use to comply with the regulation’s photo identification requirement, will not satisfy the BasicMed requirement to carry a valid U.S. driver’s license, as discussed above. To review all of the requirements of BasicMed, pilots are encouraged to review the final rule as well as Advisory Circular AC 68-1, Alternative Pilot Physical Examination and Education Requirements. Additional resources, including a comprehensive FAQ, are available at AOPA’s “Fit to Fly” resources page. 1 The pilot’s most recent medical certificate can be a regular or special issuance medical certificate and can be expired, but it must not have been suspended or revoked, or in the case of an authorization for special issuance, it must not have been withdrawn. Likewise, the pilot’s most recent medical application must not have been completed and then withdrawn or denied. Mr. Allen is AOPA’s Legal Services Plan (LSP) senior staff attorney and is an instrument-rated private pilot. He provides initial consultations to pilots through the LSP when the FAA has contacted them about potential FAR violations. 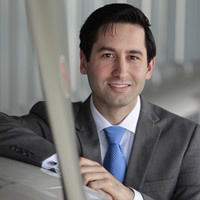 Jared has helped numerous pilots successfully navigate through compliance actions.